Yes, everything recycles and reuses. Before you call for the industrial sized dumpster and start indiscriminately tossing all your old stuff, take a long hard look at your alleged “junk”, thinking about the pieces in new ways. That old wheelbarrow in the corner would work just fine with a new tub, and the old tub, with just a little ingenuity and a shovel, would become a great in-ground pet-washing tub in the side- or backyard. However, we suggest you do not stop there: the wheels and tires from that old bicycle easily could be adapted to wheelbarrow use: How much easier would that old barrow maneuver on two new inflatable tires? You would pay big money for a piece like that in a big-box store. Some of grandpa’s “ancient” hand tools do not woodwork so well any more, but they may have value as antiques or collectibles. Do not just toss them before you do a little online research to determine the market. When you finally get down to nothing but junk, call Ace Home Services for professional pick-up, clean-up, and haul-away. Many of your used materials actually can enjoy second life as the key elements in home improvements. When you take down the old, wobbly patio cover, you will end up with a nifty pile of 4×4’s and 2×2’s. They will not burn very well—too wet and rotted. Nevertheless, they will make great edgers for your new flowerbeds, great terrace holders for your new multi-level vegetable garden, or spectacular dividers for your new conical herb garden. Yes, you can reincarnate even the kitchen sink…and the old bathtub, too. Turn the kitchen sink into a backyard planter, slightly modifying the old faucet for built-in irrigation; same with that old bathtub. Whatever your imagination, interior design skills, and green thumb cannot adapt for ingenious new tools and accessories, Ace Home Services happily will haul away for you—quick, neat, and effortless. Here is a listing of items we pick up for recycling. Engine blocks, Cast iron sinks and tubs, Transmissions, Brake drums, Storm doors, Car parts, BBQ’s, Gas or Propane Grills, Steel desks and chairs, Aluminum, Washing Machines, Dryers, Refrigerators, File Cabinets, Brass, Wood stoves, Fireplace inserts, Tire rims, Steel, Radiators, Car batteries, Metal patio tables and chairs, Bicycles, Aluminum windows, Copper, Microwave ovens, Dish washers, Commercial printers, Office machines, Lawn mowers, Stainless steel, Riding mowers, Freezers, Screen doors, Pipe, Plate steel, and in general any miscellaneous metal you want to be rid of. Need it gone and out of your way? We are just one call away. We will gladly remove the junk you want gone. Household recycling and unsightly junk removal, call Aces Home Services. 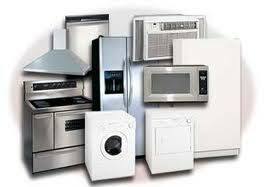 Call Ace Home Services for removal and other professional assistance concerning those remnants and household materials. Aces Home Services works with local recyclers and other organizations to save our finite natural resources and can assist you with the removal of unwanted items.